We are the authorised agents in Ireland for The Good Till Company, one of the UK’s most intuitive and affordable iPad POS Systems, giving you the power to manage and grow your business with ease! A POS system that helps you make the most of your time and money, gives you detailed information on everything happening in your business and makes you more attractive to customers… is it all really possible? The short answer is yes! 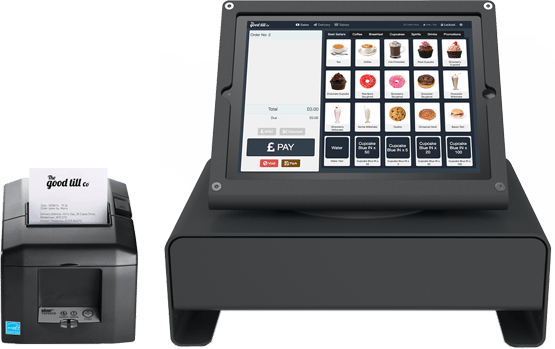 The Good Till’s iPad based point of sale system not only ticks all these boxes but it also gives you a bang-on-trend solution that is really simple to use and totally affordable too. Designed to help independent businesses in the retail and hospitality industries like yours to better compete against the big names, The Good Till will soon be your most powerful business ally! 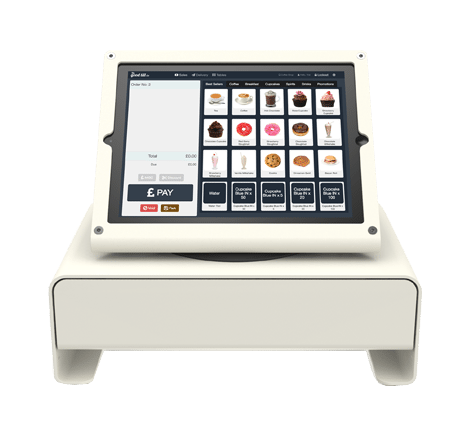 The Good Till iPad POS system is packed with industry leading features designed to help small and medium sized businesses run their enterprises more capably and efficiently – with a bit of pizzazz thrown in too! Complete hardware and software solution with payment service. Full training onsite or offsite and a UK based onboarding and support team to make sure you are up and running with minimal effort. Switch seamlessly from the cloud to a fully functioning off-line mode. Keep your business operational without an internet connection. The intelligent system will keep your data safe and sync with the server once new connection is established. Add image, product and arrange them on the screen as you wish. With a range of competitively priced hardware and software packages you are in full control. Giving you instant access to real-time and historical data on everything from stock control to your latest best-sellers, With our cloud-based software, a wide range of reports can be easily accessed on site or on the go, meaning you’re constantly in the know. Make smarter more informed decisions with quick on-the-go reports on sales, stock or even staff performance. Manage all your stores from one location with our Multi-Outlet Management System. Make transactions from just about anywhere and make your sales mobile. Chip and Pin connects wirelessly to your smartphone or tablet and is perfect for any business, big or small. With WooCommerce and Order and Collect feature you are always in sync with your Offline and Online operation. Send sales data directly to accounting platform to same hours of data input. With software and hardware that can be set up within minutes, your business can quickly customise the interface, adding and arranging images and products as you wish. Our software also easily connects to other business systems like Xero and Exact Online. Our table management module not only provides a great way of handling bookings without a trace of human error but it can also help you capture important data such as cancellation rates, optimise your seating cover and effectively plan staffing levels every day. Show custom message/banner along with order total in the integrated customer facing display. Automatically track and manage your stock with our Inventory and Ingredient Management System. When it comes to hardware, we can supply you with everything from iPads to cash drawers but our focus is always on keeping things uncomplicated for your business. The Good Till company is the only UK based POS systems provider that offers on-line and phone support in the UK. From restaurants to food trucks, boutiques to nail bars, The Good Till is a solution that works with and for your business.